The program was scheduled to end on December 31, 2017. In mid-2017, the federal government approved extending the program after December 31, 2017. The program covers primary, specialty and urgent care services for individuals up to 100% of the Federal Poverty Level. Gateway to Better Health is sponsored by the Missouri Department of Social Services in partnership with the St. Louis Regional Health Commission. For more information, please call the call the Gateway to Better Health call center at 1.888.513.1417. There are no premiums for the program. Copays for Gateway to Better Health are $0.50 - $3.00. Please call the Gateway to Better Health Call Center at 1.888.513.1417 for additional information on program benefits. Who’s in the provider network? 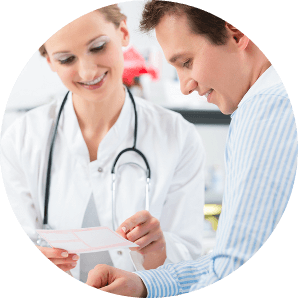 In order to receive a specialty service, you must receive a referral from a primary care doctor at your health center. Limited outpatient procedures are covered with an approved referral from a network physician. These services are provided in partnership with local in-network hospitals. Click on the links below to download GBH application information. ©2019 Administered by Automated Health Systems, Inc.